Mawlānā Jalāl ad-Dīn Muḥammad Balkhī (Persian: مولانا جلال الدین محمد بلخى), also known as Jalāl ad-Dīn Muḥammad Rūmī (جلال‌الدین محمد رومی), but known to the English-speaking world simply as Rumi,(30 September 1207 – 17 December 1273), was a 13th-century Persian poet, Islamic jurist, and theologian. Rūmī is a descriptive name meaning "the Roman" since he lived most of his life in an area called Rūm because it was once ruled by the Byzantine Empire. According to tradition, Rumi was born in Balkh (modern Afghanistan; then part of Medieval Persia), the hometown of his father's family; however, some Rumi scholars believe that he was born in Wakhsh, a small town located at the river Wakhsh in what is now Tajikistan. Wakhsh belonged to the larger province of Balkh, and in the year Rumi was born, his father was an appointed scholar there. Both these cities were at the time included in the Greater Persian cultural sphere of Khorāsān, the easternmost province of historical Persia, and were part of the Khwarezmian Empire. His birthplace and native language both indicate a Persian heritage. Due to quarrels between different dynasties in Khorāsān, opposition to the Khwarizmid Shahs who were considered devious by Bahā ud-Dīn Walad (Rumi's father) or fear of the impending Mongol cataclysm, his father decided to migrate westwards. Rumi's family traveled west, first performing the Hajj and eventually settling in the Anatolian city Konya (capital of the Seljuk Sultanate of Rum, now located in Turkey), where he lived most of his life, composed one of the crowning glories of Persian literature and profoundly affected the culture of the area. He lived most of his life under the Sultanate of Rum, where he produced his works and died in 1273 CE. He was buried in Konya and his shrine became a place of pilgrimage. Following his death, his followers and his son Sultan Walad founded the Mawlawīyah Sufi Order, also known as the Order of the Whirling Dervishes, famous for its Sufi dance known as the samāʿ ceremony. Rumi's works are written in the New Persian language. A Persian literary renaissance (in the 8th/9th century) started in regions of Sistan, Khorāsān and Transoxiana and by the 10th/11th century, it overtook Arabic as the literary and cultural language in the Persian Islamic world. 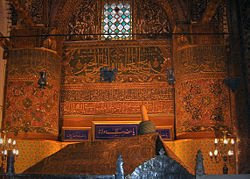 Although Rumi's works were written in Persian, Rumi's importance is considered to transcend national and ethnic borders. His original works are widely read in their original language across the Persian-speaking world. Translations of his works are very popular in South Asian, Turkic, Arab, and Western countries. His poetry has influenced Persian literature as well as the literature of the Urdu, Bengali, Arabic and Turkish languages. His poems have been widely translated into many of the world's languages and transposed into various formats; BBC News has described him as the "most popular poet in America". Rumi was born in Khorāsān, possibly in or near the city of Balkh. His life is described in Shams ud-Din Ahmad Aflāki's Manāqib ul-Ārifīn (written between 1318 and 1353). Rumi's father was Bahā ud-Dīn Walad, a theologian, jurist and a mystic from Balkh, who was also known during his lifetime as Sultan al-Ulama or "Sultan of the Scholars". 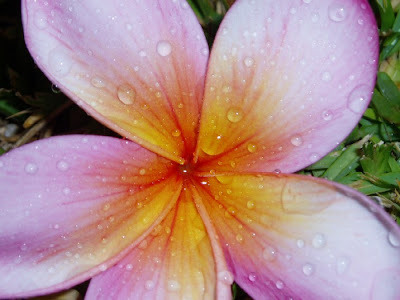 His mother was Mu'mina Khātūn. When the Mongols invaded Central Asia sometime between 1215 and 1220, Baha ud-Din Walad, with his whole family and a group of disciples, set out westwards. On the road to Anatolia, Rumi encountered one of the most famous mystic Persian poets, 'Attar, in the Iranian city of Nishapur, located in the province of Khorāsān. 'Attar immediately recognized Rumi's spiritual eminence. He saw the father walking ahead of the son and said, "Here comes a sea followed by an ocean." He gave the boy his Asrārnāma, a book about the entanglement of the soul in the material world. This meeting had a deep impact on the eighteen-year-old Rumi, and later on became the inspiration for his works. From Nishapur, Walad and his entourage set out for Baghdad, meeting many of the scholars and Sufis of the city. From there they went to Baghdad, and Hejaz and performed the pilgrimage at Mecca. The migrating caravan then passed through Damascus, Malatya, Erzincan, Sivas, Kayseri and Nigde. They finally settled in Karaman for seven years; Rumi's mother and brother both died there. In 1225, Rumi married Gowhar Khatun in Karaman. They had two sons: Sultan Walad and Ala-eddin Chalabi. When his wife died, Rumi married again and had a son, Amir Alim Chalabi, and a daughter, Malakeh Khatun. On 1 May 1228, most likely as a result of the insistent invitation of 'Alā' ud-Dīn Key-Qobād, ruler of Anatolia, Baha' ud-Din came and finally settled in Konya in Anatolia within the westernmost territories of the Seljuk Sultanate of Rûm. Baha' ud-Din became the head of a madrassa (religious school) and when he died, Rumi, aged twenty-five, inherited his position. One of Baha' ud-Din's students, Sayyed Burhan ud-Din Muhaqqiq Termazi, continued to train Rumi in the religious and mystical doctrines of Rumi's father. For nine years, Rumi practiced Sufism as a disciple of Burhan ud-Din until the latter died in 1240 or 1241. Rumi's public life then began: he became a teacher who preached in the mosques of Konya and taught his adherents in the madrassah. During this period, Rumi also travelled to Damascus and is said to have spent four years there. It was his meeting with the dervish Shams-e Tabrizi on 15 November 1244 that completely changed Rumi's life. Shams had traveled throughout the Middle East searching and praying for someone who could "endure my company". A voice said to him, "What will you give in return?" Shams replied, "My head!" The voice then said, "The one you seek is Jalal ud-Din of Konya." On the night of 5 December 1248, as Rumi and Shams were talking, Shams was called to the back door. He went out, never to be seen again. It is believed that Shams was murdered with the connivance of Rumi's son, 'Ala' ud-Din; if so, Shams indeed gave his head for the privilege of mystical friendship. The general theme of Rumi's thought, like that of other mystic and Sufi poets of Persian literature, is essentially that of the concept of tawhīd – union with his beloved (the primal root) from which/whom he has been cut off and become aloof – and his longing and desire to restore it. The Masnavi weaves fables, scenes from everyday life, Qur’anic revelations and exegesis, and metaphysics into a vast and intricate tapestry. Rumi is considered an example of Insan-e Kamil — Perfect Man, the perfected or completed human being. In the East, it is said of him that he was "not a prophet — but surely, he has brought a scripture". Rumi believed passionately in the use of music, poetry, and dance as a path for reaching God. For Rumi, music helped devotees to focus their whole being on the divine, and to do this so intensely that the soul was both destroyed and resurrected. It was from these ideas that the practice of "whirling" dervishes developed into a ritual form. His teachings became the base for the order of the Mevlevi which his son Sultan Walad organized. Rumi encouraged samāʿ, listening to music and turning or doing the sacred dance. In the Mevlevi tradition, samāʿ represents a mystical journey of spiritual ascent through mind and love to the Perfect One. 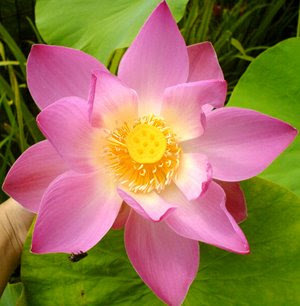 In this journey, the seeker symbolically turns towards the truth, grows through love, abandons the ego, finds the truth, and arrives at the Perfect. 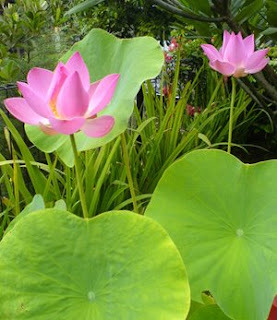 The seeker then returns from this spiritual journey, with greater maturity, to love and to be of service to the whole of creation without discrimination with regard to beliefs, races, classes, and nations. Rumi is able to verbalize the highly personal and often confusing world of personal/spiritual growth and mysticism in a very forward and direct fashion. He does not offend anyone, and he includes everyone. The world of Rumi is neither exclusively the world of a Sufi, nor the world of a Hindu, nor a Jew, nor a Christian; it is the highest state of a human being — a fully evolved human. A complete human is not bound by cultural limitations; he touches every one of us. Today, Rumi's poems can be heard in churches, synagogues, Zen monasteries, as well as in the downtown New York art/performance/music scene. According to Professor Majid M. Naini , Rumi's life and transformation provide true testimony and proof that people of all religions and backgrounds can live together in peace and harmony. Rumi’s visions, words, and life teach us how to reach inner peace and happiness so we can finally stop the continual stream of hostility and hatred and achieve true, global peace and harmony. The lover's religion and nationality is the Beloved (God). Rumi's poetry is often divided into various categories: the quatrains (rubayāt) and odes (ğazal) of the Divan, the six books of the Masnavi, The Discourses, The Letters, and the almost unknown Six Sermons. * Rumi's major work is the Maṭnawīye Ma'nawī (Spiritual Couplets; Persian: مثنوی معنوی), a six-volume poem regarded by some Sufis as the Persian-language Qur'an. It is considered by many to be one of the greatest works of mystical poetry. * Rumi's other major work is the Dīwān-e Kabīr (Great Work) or Dīwān-e Shams-e Tabrīzī (The Works of Shams of Tabriz; Persian: دیوان شمس تبریزی named in honor of Rumi's great friend and inspiration, the dervish Shams) and comprising some forty thousand verses. Several reasons have been offered for Rumi's decision to name his masterpiece after Shams; some argue that since Rumi would not have been a poet without Shams, it is apt that the collection be named after him. * Fihi Ma Fihi (In It What's in It, Persian: فیه ما فیه) provides a record of seventy-one talks and lectures given by Rumi on various occasions to his disciples. It was compiled from the notes of his various disciples, so Rumi did not author the work directly. An English translation from the Persian was first published by A.J. Arberry as Discourses of Rumi(New York: Samuel Weiser, 1972), and a translation of the second book by Wheeler Thackston, Sign of the Unseen(Putney, VT: Threshold Books, 1994). * Majāles-e Sab'a (Seven Sessions, Persian: مجالس سبعه) contains seven Persian sermons (as the name implies) or lectures given in seven different assemblies. The sermons themselves give a commentary on the deeper meaning of Quran and Hadeeth. The sermons also include quotations from poems of Sana'i, 'Attar, and other poets, including Rumi himself. As Aflakī relates, after Shams-e Tabrīzī, Rumi gave sermons at the request of notables, especially Salāh al-Dīn Zarkūb. * Makatib (The Letters, Persian: مکاتیب) is the book containing Rumi's letters in Persian to his disciples, family members, and men of state and of influence. The letters testify that Rumi kept very busy helping family members and administering a community of disciples that had grown up around them. Rumi was an evolutionary thinker in the sense that he believed that the spirit after devolution from the divine Ego undergoes an evolutionary process by which it comes nearer and nearer to the same divine Ego. All matter in the universe obeys this law and this movement is due to an inbuilt urge (which Rumi calls "love") to evolve and seek enjoinment with the divinity from which it has emerged. Evolution into a human being from an animal is only one stage in this process. 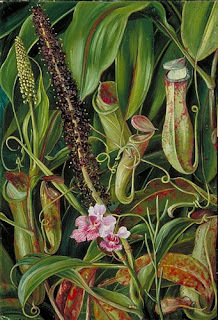 The doctrine of the Fall of Adam is reinterpreted as the devolution of the ego from the universal ground of divinity and is a universal, cosmic phenomenon. This synthesis of evolution and creationism is a culmination of the ideas of Plotinus and of previous Muslim philosophers like Al Farabi. The French philosopher Henri Bergson's idea of life being creative and evolutionary is similar, though unlike Bergson, Rumi believes that there is a specific goal to the process: the attainment of God. For Rumi, God is the ground as well as the goal of all existence. It is often said that the teachings of Rumi are universal in nature.For Rumi, religion was mostly a personal experience and not limited to logical arguments or perceptions of the senses. 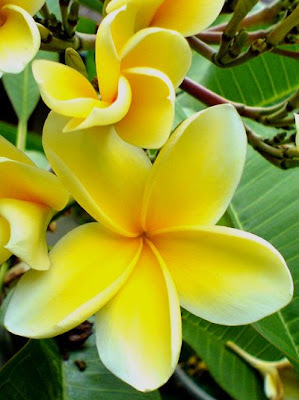 Creative love, or the urge to rejoin the spirit to divinity, was the goal towards which every thing moves.The dignity of life, in particular human life (which is conscious of its divine origin and goal), was important. With set purpose I fared to the summit of Mount Caucasus and found there only 'anqa's habitation. I fared then to the scene of the Prophet's experience of a great divine manifestation only a "two bow-lengths' distance from him" but God was not there even in that exalted court. What can I do, Submitters to God? I do not know myself. Beyond "He" and "He is" I know no other. Rumi's importance transcends national and ethnic borders. [not in citation given] Readers of the Persian language in Iran, Afghanistan, Tajikistan and Uzbekistan see him as one of their most significant classical poets and an influence on many poets through history. [not in citation given] Rumi has also had a great influence on Turkish literature through the centuries. Rumi's poetry forms the basis of much classical Iranian and Afghanistani music. Contemporary classical interpretations of his poetry are made by Muhammad Reza Shajarian (Iran), Shahram Nazeri (Iran), Davood Azad (Iran) and Ustad Mohammad Hashem Cheshti (Afghanistan). To many modern Westerners, his teachings are one of the best introductions to the philosophy and practice of Sufism. Pakistan's National Poet, Muhammad Iqbal, was also inspired by Rumi's works and considered him to be his spiritual leader, addressing him as "Pir Rumi" in his poems (the honorific Pir literally means "old man", but in the sufi/mystic context it means founder, master, or guide). Rumi's work has been translated into many of the world's languages, including Russian, German, Urdu, Turkish, Arabic, French, Italian, and Spanish, and is being presented in a growing number of formats, including concerts, workshops, readings, dance performances, and other artistic creations. The English interpretations of Rumi's poetry by Coleman Barks have sold more than half a million copies worldwide, and Rumi is one of the most widely read poets in the United States. Recordings of Rumi poems have made it to Billboard's Top 20 list. A selection of Deepak Chopra's editing of the translations by Fereydoun Kia of Rumi's love poems has been performed by Hollywood personalities such as Madonna, Goldie Hawn, Philip Glass and Demi Moore. Shahram Shiva's CD, Rumi: Lovedrunk, has been very popular in the Internet's music communities, such as MySpace.com. 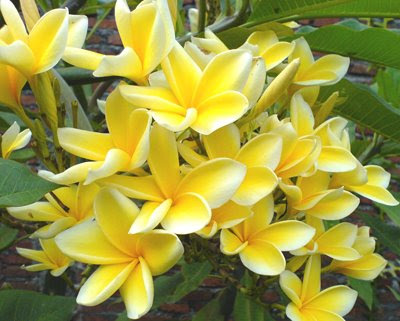 Say all in Persian even if Arabic is better – Love will find its way through all languages on its own. Rumi's poetry reflects the richness of Iranian culture and represents the literary environment of Khorasan, the medieval center of the Persian world. These cultural, historical and linguistic ties between Rumi and the Iranian world have made Rumi an iconic Persian and Iranian poet. Rumi's poetry is displayed on the walls of many cities across the Persian-speaking world, sung in Persian music, and read in school books. Persian speakers literally live Rumi's poetry. The Mawlawī Sufi order (Mawlawīyah or Mevlevi, as it is known in Turkey) was founded in 1273 by Rumi's followers after his death. His first successor in the rectorship of the order was Husam Chalabi himself , after whose death in 1284 Rumi's younger and only surviving son, Sultan Walad (died 1312), favorably known as author of the mystical Maṭnawī Rabābnāma, or the Book of the Rabab, was installed as grand master of the order. The leadership of the order has been kept within Rumi's family in Konya uninterruptedly since then. The Mawlawī Sufis, also known as Whirling Dervishes, believe in performing their dhikr in the form of samāʿ. During the time of Rumi (as attested in the Manāqib ul-Ārefīn of Aflākī), his followers gathered for musical and "turning" practices. During Ottoman times, the Mawlawīyah produced a number of notable poets and musicians, including Sheikh Ghalib, Ismail Rusuhi Dede of Ankara, Esrar Dede, Halet Efendi, and Gavsi Dede, who are all buried at the Galata Mawlawī Khāna (Turkish: Mevlevi-Hane) in Istanbul. Music, especially that of the ney, plays an important part in the Mawlawiyyah, and thus much of the traditional, oriental music that Westerners associate with Turkey originates from the Mawlawī order. With the foundation of the modern, secular Republic of Turkey, Mustafa Kemal Atatürk removed religion from the sphere of public policy and restricted it exclusively to that of personal morals, behavior, and faith. On 13 December 1925, a law was passed closing all the tekkes (or tekeyh) (dervish lodges) and zāwiyas (chief dervish lodges), and also the centers of veneration to which pilgrimages (ziyārat) were made. Istanbul alone had more than 250 tekkes as well as small centers for gatherings of various fraternities; this law dissolved the Sufi Orders, prohibited the use of mystical names, titles and costumes pertaining to their titles, impounded the Orders' assets, and banned their ceremonies and meetings. The law also provided penalties for those who tried to re-establish the Orders. Two years later, in 1927, the Mausoleum of Mevlana in Konya was allowed to reopen as a Museum. In the 1950s, the Turkish government began allowing the Whirling Dervishes to perform once a year in Konya. The Mawlānā festival is held over two weeks in December; its culmination is on 17 December, the Urs of Mawlānā (anniversary of Rumi's death), called Šabe Arūs (شب عروس) (Persian meaning "nuptial night"), the night of Rumi's union with God. In 1974, the Whirling Dervishes were permitted to travel to the West for the first time. expresses Rumi's true attitude toward Islam. However, the poem in which that line occurs is not in the earliest manuscripts, and is probably is not a genuine Rumi poem. R.A. Nicholson first published a translation of this line in 1898, but he admitted that, "[t]he original text does not occur in any of the editions or MSS used by me" (p. 281). Futhermore, this should not be interpreted literally, since this is just another form of a central theme in all Rumi's poetry: the enlightened being who has transcended religions into the complete man. One of the greatest living authorities on Rûmî in Persia today, Hâdî Hâ'irî, has shown in an unpublished work that some 6,000 verses of the Dîwân and the Mathnawî are practically direct translations of Qur'ânic verses into Persian poetry. Make your intellect a sacrifice in the presence of Muhammad, and say, "God is sufficient for me, since God is enough for satisfying me. 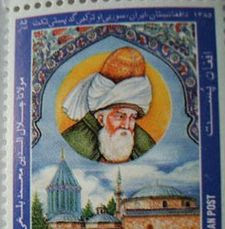 A postage stamp honoring Rumi. Mawlana Jalal-ud-Dine Balkhi-Rumi is one of the greatest spiritual masters and mystic poets of Islamic civilization. In Afghanistan, he is known as "Mawlana", in Iran as "Mawlawi", and in Turkey, "Mevlana". 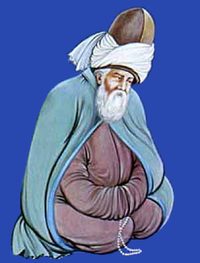 At the proposal of the Permanent Delegations of Afghanistan, Egypt, and Turkey, and as approved by its Executive Board and General Conference in conformity with its mission of “constructing in the minds of men the defences of peace”, UNESCO was associated with the celebration, in 2007, of the eight hundredth anniversary of Rumi's birth. The commemoration at UNESCO itself took place on 6 September 2007;UNESCO issued a medal in Rumi's name in the hope that it would prove an encouragement to those who are engaged in research on and dissemination of Rumi's ideas and ideals, which would, in turn, enhance the diffusion of the ideals of UNESCO. The Afghan Ministry of Culture and Youth established a national committee which organized an international seminar to celebrate the birth and life of the great ethical philosopher and world-renowned poet. This grand gathering of the intellectuals, diplomats, and followers of Maulana was held in Kabul and in Balkh. On 30 September 2007, Iranian school bells were rung throughout the country in honor of Mowlana. Also in that year, Iran held a Rumi Week from 26 October to 2 November. An international ceremony and conference were held in Tehran; the event was opened by the Iranian president and the chairman of the Iranian parliament. Scholars from twenty-nine countries attended the events, and 450 articles were presented at the conference.Iranian musician Shahram Nazeri was awarded the Légion d'honneur and Iran's House of Music Award in 2007 for his renowned works on Rumi masterpieces. 2006 was declared as the "International Mozart Year" by UNESCO. 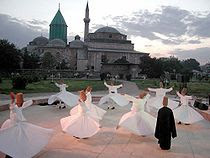 Also on 30 September 2007, Turkey celebrated Rumi’s eight-hundredth birthday with a giant Whirling Dervish ritual performance of the samāʿ, which was televised using forty-eight cameras and broadcast live in eight countries. Ertugrul Gunay, of the Ministry of Culture and Tourism of Turkey, stated, "Three hundred dervishes are scheduled to take part in this ritual, making it the largest performance of sama in history."